Kaetlyn Osmond, Christopher Pratt among inductees to Order of N.L. 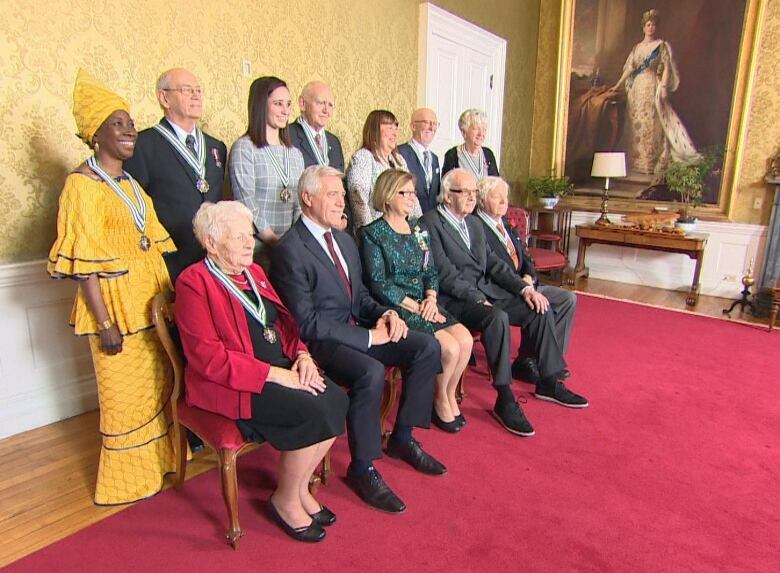 10 of the province's highest achievers, including a minister, a volunteer and a retired politician, accepted the honour Tuesday. 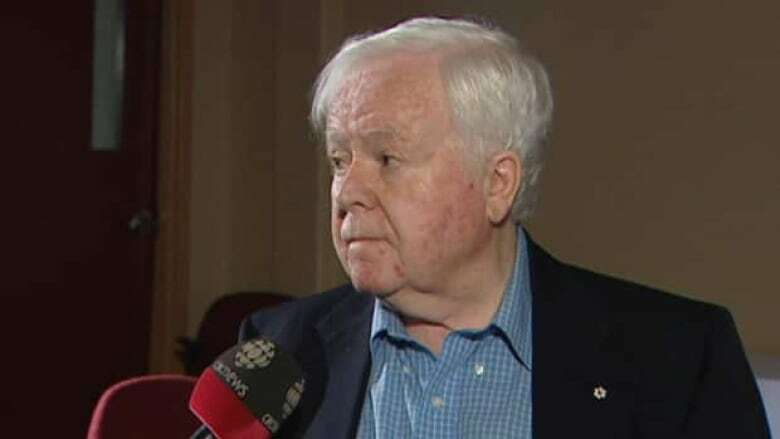 One of Newfoundland and Labrador's most popular athletes was among those accepting the province's highest honour at Government House in St. John's Tuesday. 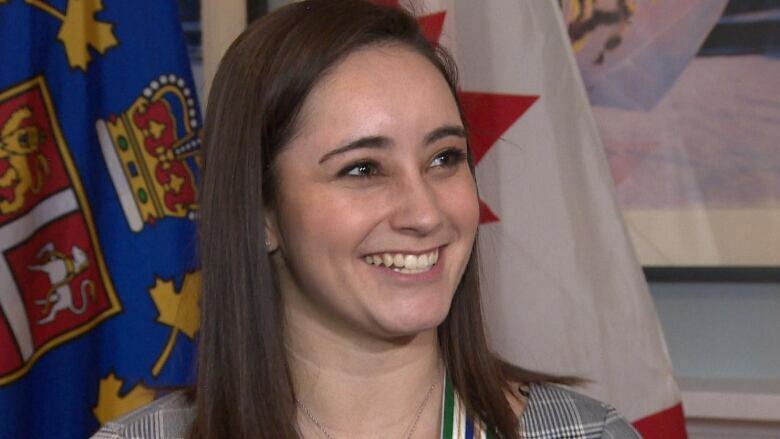 Kaetlyn Osmond, a two-time Olympic medallist in figure skating and last year's world champion — and the youngest person to ever be invested into the Order of N.L.— said the selection was an honour. "Every time that I travel, everyone always knows me as the girl from Newfoundland and I've always lived up to that," she said. "And to be able to come back here and receive this amongst so many other amazing recipients, it was incredible." A 90-year-old volunteer, a retired minister, and a former broadcaster were also named, rounding out a group of five men and five women that boasts a charitable streak and a long list of achievements. Joseph Butler started the VOCM Cares foundation in 1983 and chaired it for 17 years. Under his watch, the foundation raised millions for charities across the province. Butler also played a role in the Coats for Kids Campaign, Happy Tree and the local branch of the Children's Wish Foundation. In his professional life, Butler earned a place in the Canadian Association of Broadcasters Hall of Fame. Richard Cashin was a lawyer, politician and union leader, who ran the Food, Fish and Allied Workers Union from 1971 until his retirement. He was also thrice elected as Member of Parliament for St. John's-West throughout the 1960s. Paula Dawe is an active volunteer in Happy Valley-Goose Bay and has been for decades. She's been an organizer with the Roland Shears Memorial Christmas Hamper Program for 40 years. These days, she oversees the Kids Eat Smart Program at the local primary school and is known in the community for her work tutoring children. Arthur G. Elliott is a retired United Church minister in central Newfoundland. After retirement, he went home to Lewisporte and began volunteering his time. He is perhaps best known for his work in establishing the Calypso Foundation, a group that assists adults with disabilities. Darryl Fry is the former CEO of multi-billion dollar company Cyanamid. He also started the Fry Family Foundation, which has provided support to numerous outreach projects in the province. The foundation has also provided more than 1,000 scholarships to students at post-secondary schools in Newfoundland and Labrador. Cassandra Ivany, born in Clarenville in 1929, began volunteering with the Red Cross at a young age and carried on for decades. She's known in her hometown for working with the sick and for her contributions to the local hospital. She's been a member of the Rebekahs since 1954 and still regularly attends meetings. In her 80s, Ivany started working with GATHER — a group dedicated to keeping seniors healthy and active. Odelle Pike is a Mi'kmaq elder who focused on Indigenous causes throughout her life. She served three terms as president of the Aboriginal Women's Network and has served with several other committees and groups in Newfoundland. She also dedicated more than 40 years to figure skating in the province. 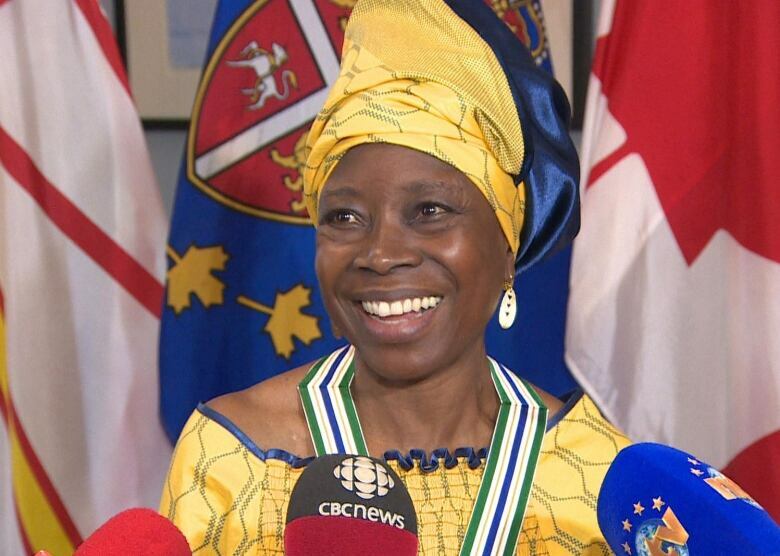 Dr. Lloydetta Quaicoe is originally from Sierra Leone, but moved to Newfoundland in 1982. She made her mark on the province through academics and supporting social causes. Among several other boards and committees, she is founder and CEO of Sharing Our Cultures, which brings together kids from varied backgrounds and culminates with an educational event at the Rooms each year where kids display different aspects of their cultures. Christopher Pratt has become a renowned artist across the country, since holding his first solo exhibition at MUN in 1965. Pratt linked much of his art to his home province and displayed it around the country. Perhaps his most recognized contribution to the province came in 1980, when he designed the official flag of Newfoundland and Labrador. Last year's eight recipients included arts advocate David Smallwood and former St. John's deputy mayor Marie Ryan.